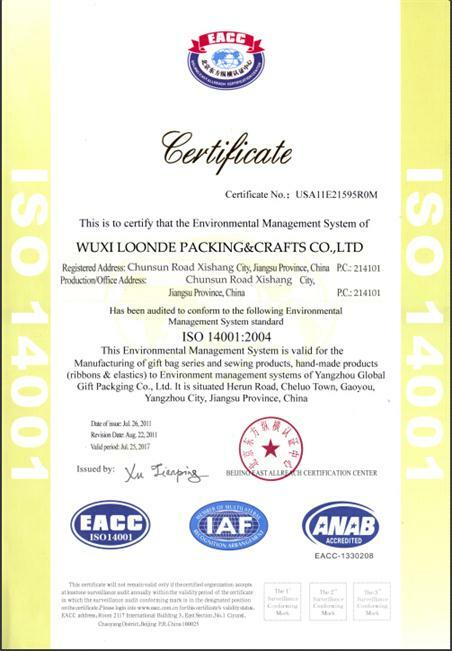 Company Overview - Wuxi Loonde Packing & Crafts Co., Ltd.
6YRSWuxi Loonde Packing & Crafts Co., Ltd.
Wuxi Loonde Packing & Crafts Co., Ltd. -- a professional gift packaging company!We are specialized in manufacturing organza bags, velvet bags, satin bags, seeded bags, cotton bags, non-woven bags and all other kinds of cloth gift bags. Being novel and unique, our products are famous for good quality and welcomed by many customers. After years of efforts, we have already exported to America, the UK, German, France, Australia, Italy and 20 other countries and regions. 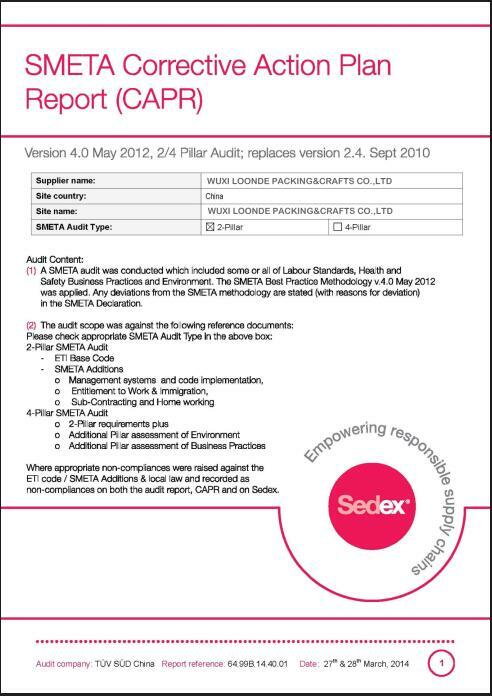 90% of our products are for export. Each year, our company also takes part in some famous exhibitions over the world, such as Hong Kong International Packing and Printing Exhibition, Italian Milan Optical Product Exhibition, and many other exhibitions.Loonde Introduced advanced technology, imported advanced equipment , We also have our own design team. 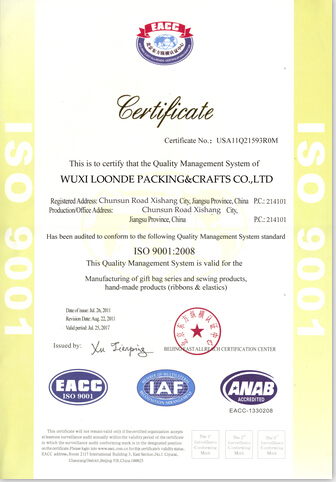 Loonde adhere to customer-centric , quality assurance, as a standard practice philosophy , Strictly congtrol every aspect of production , to make sure each piece of our bags is perfect ,when arrviving to the hand of our customer. 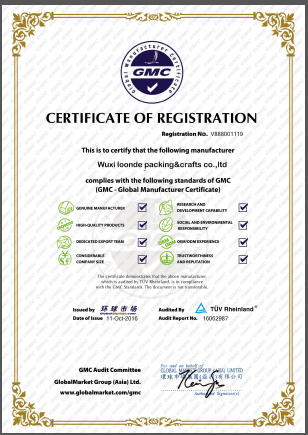 Quality products and honest services identified our brand.We regard "reasonable prices, efficient production time and good after-sales service" as our tenet. We hope to cooperate with more customers for mutual development and benefits. We welcome potential buyers to contact us.